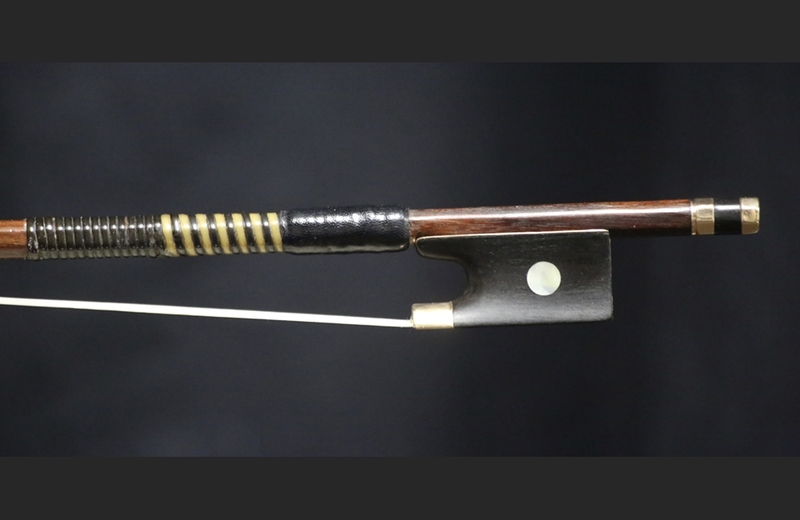 Description: Jean Pierre Marie Persoit worked in the shop of J.B. Vuillaume from 1826 to 1838, and his sticks reflect that influence, although elements of François Xavier Tourte are quite visible. The heads are strong and fairly rounded, and frogs are rather low, with short, square throats. 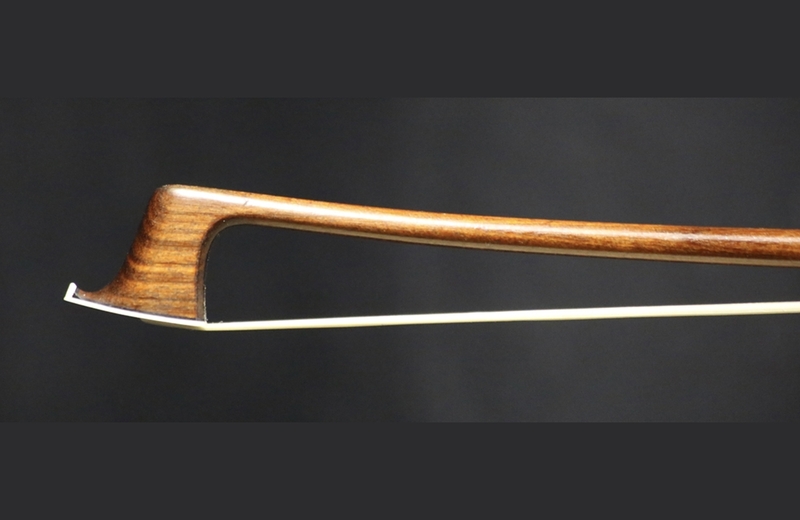 In general bows bearing his own name are rare, but are almost uniformly of excellent quality. Persoit's apprentice at the Vuillaume workshop Dominique Peccatte later merged his teacher's style with that of Tourte into a unique model of superb playability. 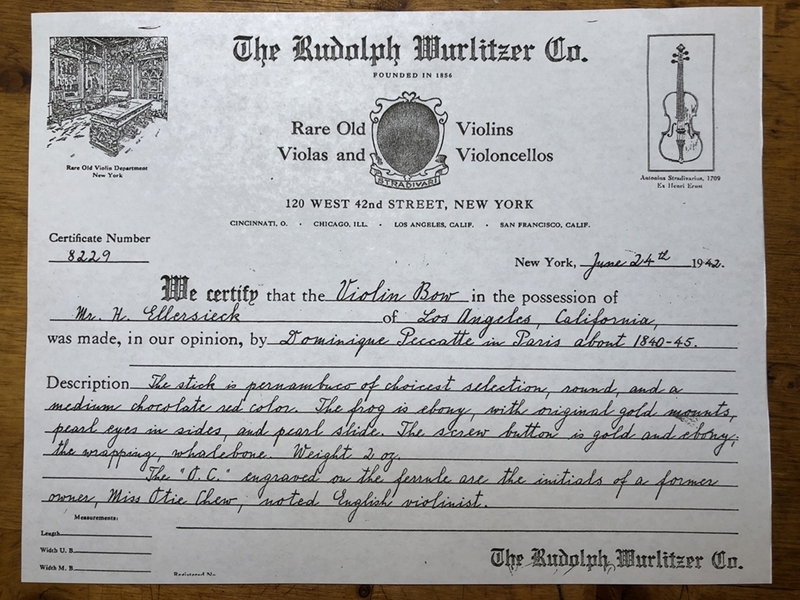 This particular bow belonged to Otie Chew Becker, who was a famed violin teacher in Los Angeles in the early 20th century. 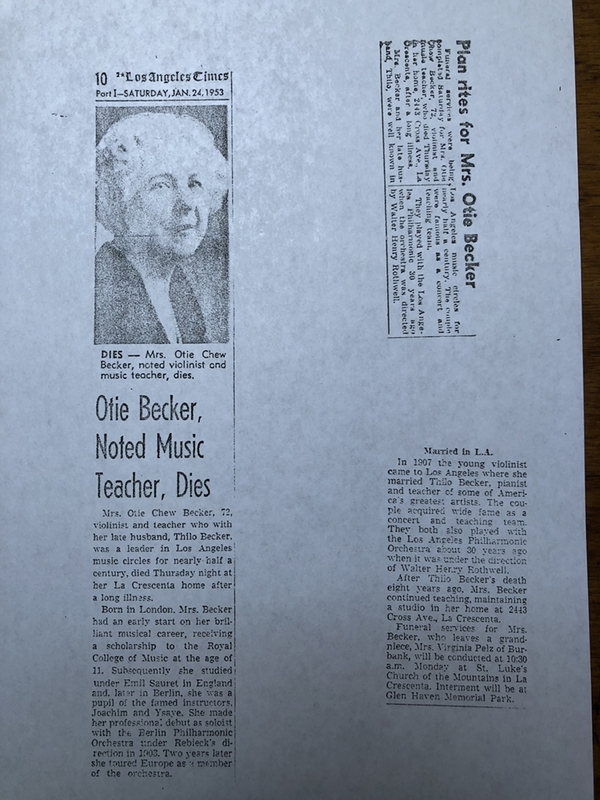 Her initials O. C. are engraved in the ferrule. 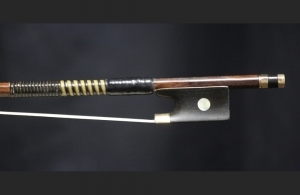 The bow was mis-attributed to her as being made by Dominique Peccatte. It has later been found that Jean Persoit is the genuine maker. It has a round stick made of dark red-brown pernambuco of excellent quality and is 72.7 cm long. The frog is ebony with gold mountings and inlaid pearl eyes. The button is ebony with two gold rings and an inlaid pearl eye. 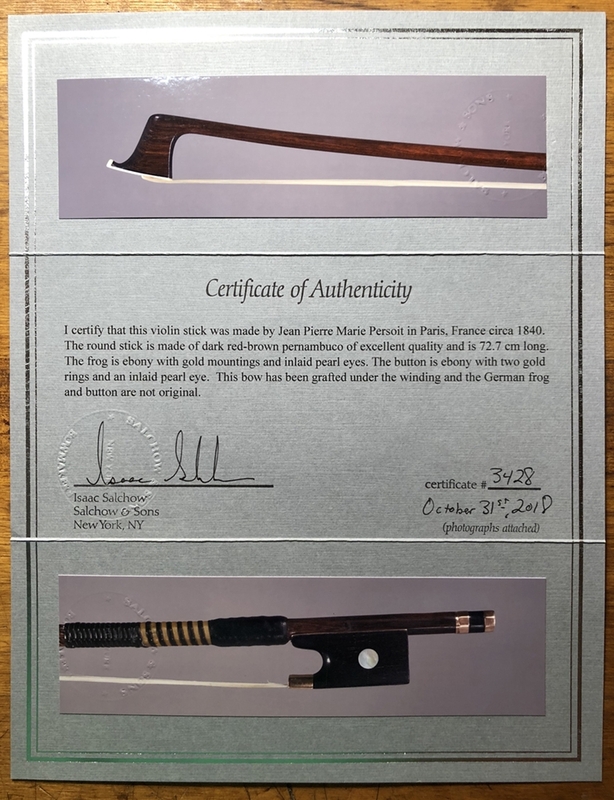 This bow has been grafted under the winding and the german frog and button are not original. Certified by Isaac Salchow.